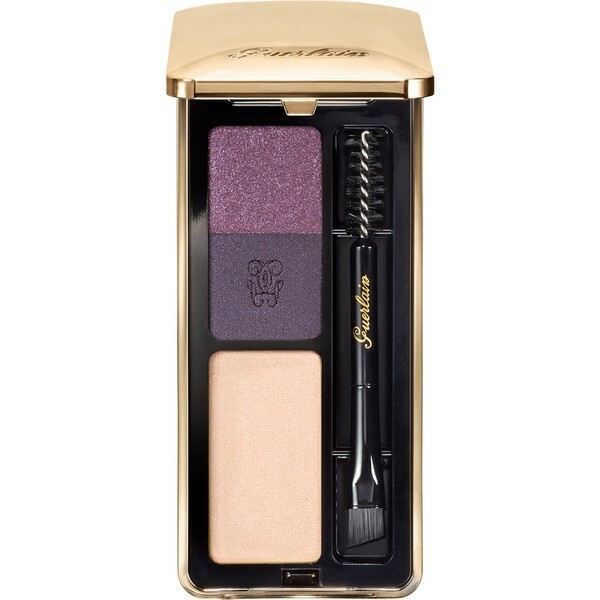 The 2-in-1 Eye and Eyebrow Colour Kit by Guerlain brings structure and style to your makeup, thanks to two powders, a highlighter and a double-tip applicator. Designed to create the perfect romantic makeup, this limited edition comes with two shades of purple, one matte and one iridescent, which blend together perfectly to create a unique look. The subtly iridescent rose-beige shade goes underneath the line of the eyebrows to add shine and on the corner of the eye to open the gaze.